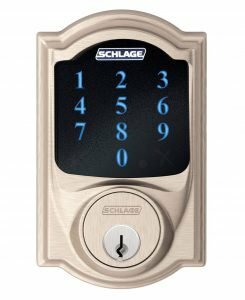 The fully-loaded Schlage Connect™ Touchscreen Deadbolt is one of the strongest, most convenient locks on the market today. 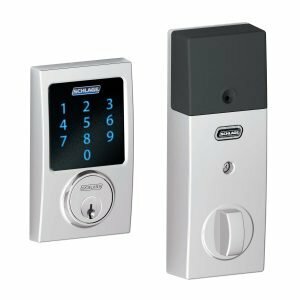 This multi-function lock puts control in homeowners’ fingertips by offering keyless control and customizable, secure access codes so that they never have to worry about losing, hiding, or carrying keys. Features include one-touch locking functionality, fingerprint-resistant touchscreen that ensures access code numbers won’t wear and become detectable after repeated use, a slim exterior plate that doesn’t interfere with storm doors, and an anti-pick shield that protects the lock against tampering. Tapping into the latest technology, the Schlage Connect™ lock connects with several popular home automation systems enabling homeowners to run their home from anywhere. The Schlage Connect™ lock holds up to 30 unique codes that can be scheduled for specific days and times of the week, allowing you to conveniently track movements in and out of the home via a compatible home automation system. 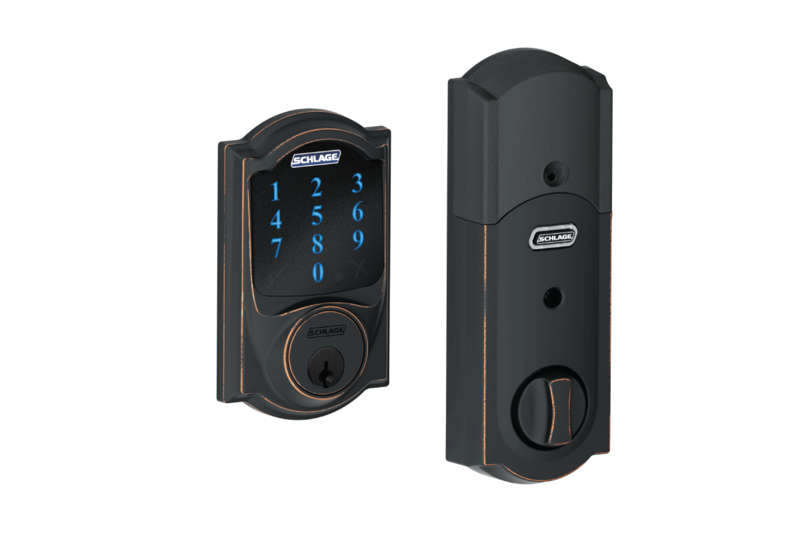 The Schlage Connect™ lock is graded Best in Security, Durability, and Finish, receiving a AAA – the highest residential grading awarded on the market as certified by Builders Hardware Manufacturers Association (BHMA).